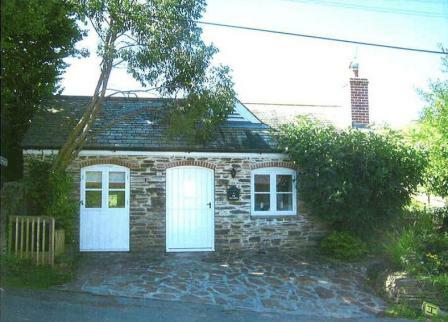 Built in @1856 The Old Forge was the Ruan Village Blacksmith's shop for over a century. 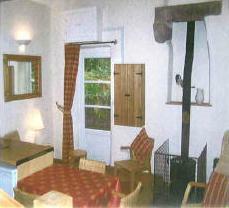 Now it has been carefully restored by local craftsmen and converted into superior quality (4 star) holiday accommodation. 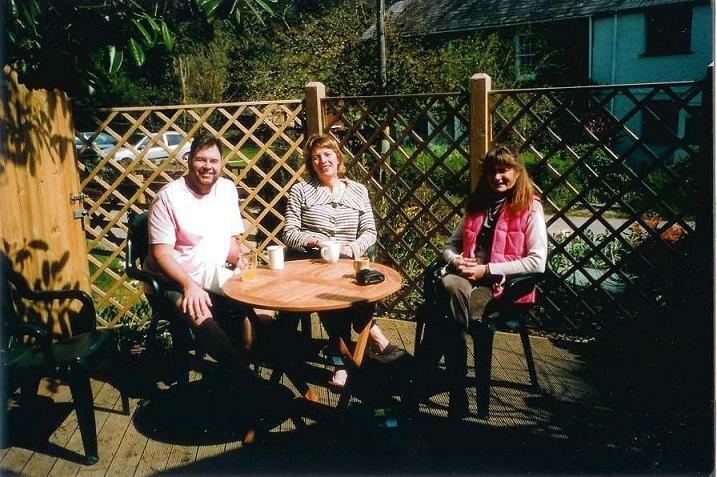 It is perfect for two adults or a family with one or two children to enjoy the Roseland. Directly in front of the premises is a stone-flagged parking bay, excellent for offloading bags, shopping, children, buckets & spades. The road through the village is quiet so entry and exit is straightforward. To the side is a large sun-deck with a wooden bench, table and chairs for sunny days and a log box and kindling for cooler evenings. A mature laurel and shrubbery provide shade and privacy. We have replaced the ranch style fence with a slightly higher trellis to support shrubs and added a gate to keep children safe. The main accommodation downstairs is timber-beamed with a fully fitted kitchen, extendable dining table, wood-burner, slate hearth and easy chairs. There is a door leading directly onto the sundeck. The beach and maple woodwork, neutral decoration and large windows create a bright and airy living space. We have collected a few pieces of stone and driftwood to dot around and there are a number of small paintings by local artists. The downstairs bedroom has been refurbished giving it a lighter more open feel. There is a pine-framed king-size bed a smaller wardrobe with drawers, extra drawers built into the window bay, a blanket box and two small cupboards by the bed. We have also replaced and repositioned the heater. As usual all bedding is provided and the beds are made up for your arrival. We have a bright new range of linen. The shower-room is fresh and bright extending to the roof of the property. Upstairs is the "Crow's Nest", a comfortable gallery sitting-room with a settee that converts to a 4ft double bed. There is a large easy-chair and a 3ft wide coffee-table/stool made from an ancient wooden cartwheel, a TV, video, DVD, CD/radio, board-games and a small selection of books. We have collected a number of guides, leaflets and local maps for nearby attractions, beaches, walks etc. A child gate is available to fit if required. There are no adjoining properties to the Old Forge just extensive fields behind and hedgerows on either side. The sun rises and sets over the fields directly behind us (see below) keeping the premises light and welcoming. The village and excellent King's Head pub is a short walk away (200yds) with an opportunity to stop at the bridge to play Pooh Sticks with the children! Phire Ltd © 2008. All Rights Reserved.